for $2,295,000 with 4 bedrooms and 4 full baths, 1 half bath. 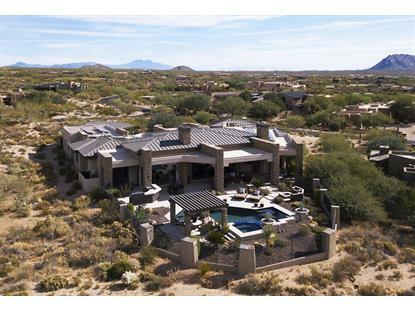 This 5,721 square foot home was built in 2008 on a lot size of 43560.00 Sqft. 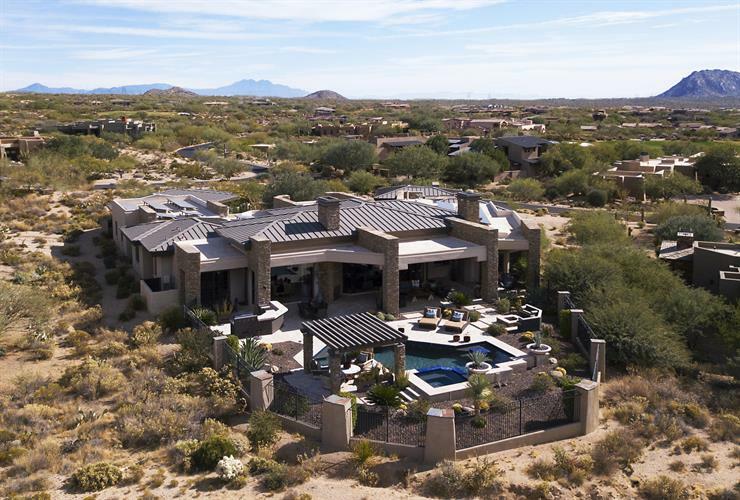 Incredible Frank Lloyd Wright inspired home located on an amazing golf course lot looking across double fairways to the city lights, the Continental Mountains and Black Mountain, and amazing Arizona sunsets. Great room floor plan with a wall of floor to ceiling glass blurring the lines between the indoor spaces and the resort like back yard. The home has four ensuite bedrooms, one of which is a detached over-sized casita with kitchenette. The home also offers a functional office, and a cozy media room. The luxurious master suite includes a fireplace and sitting area, his and her closets and water closets, washer and dryer hook-ups, giant walk through shower with multiple shower heads, a shaving sink, and a separate steam room. The home is powered 100% by solar panels owned not leased.